It is no secret that I am a huge Amy Harmon fan but every time I open one of her books I never know what to expect, I never know what journey I’m going to be taken on, I just go with the flow and expect the unexpected. Her stories are always unique, always heart felt and always extremely well written, she is one of the masters of story-telling and this book is no different. I will say, I highly recommend you read The Law of Moses before reading this book. Moses is quite an integral character in this book and I feel you would benefit knowing the complete history between Moses and Tag as you read this story. Told in dual POV by Tag and Moses, the way in which Amy Harmon has delivered this story is pure genius. For a romance you would never have thought, but this works and it works amazingly well. Tag was introduced in The Law of Moses and this is his story. Once again, Amy Harmon delivers a character that you cannot help but fall in love with. Tag is a big man with a huge heart. While he is tough and angry on the outside, he is a pile of mush on the inside but only a few ever get to see that side of him. Tag is an MMA fighter, he uses this as an outlet for his anger and this man holds a lot of anger. We know his back story, we know where Tag and Moses met and we know that they saved each other and borne from this is a friendship that is so deep and a friendship that will last a lifetime. This relationship is prevalent throughout as the importance of friendships is really hammered home in this book. For me this was a book of two halves, from the very first word I was drawn in and as you read the beginning you cannot help but get that deep sense of foreboding. I spent the first half of the book on tenterhooks, waiting for the cards to fall while silently falling in love with another two characters. Millie was an amazing character, she is one of the strongest female leads I have read about in a long time. While most would have given up and thrown in the towel Millie was made of stronger stuff. She was resilient, she never gave up, she made the best of the hand that she had been dealt, she was strong, she was empathetic, she was loyal, she was just a beautiful character inside and out. You knew where you stood with Millie, she told it how it was, she didn’t sugar coat, but sometimes you need someone like that, she was refreshing and she was just what Tag needed. While most would never have given Millie a second glance or the time of day Tag was different, while others ridiculed and only saw the surface, Tag took the time to get to know the person underneath. They were total opposites, but they worked and they worked so well together. They brought out the best in each other and they gave each other what the other one needed. They may have been opposites but they were the final two pieces of a puzzle and when they last two pieces fitted together a beautiful story was born. As I said above, we are introduced to two new characters, Millie being one and her brother Henry being the other. I have to mention Henry, he was adorable. Another misunderstood kid that had struggled with life in general. He had his issues and Millie had been there for him through thick and thin, but his relationship with Tag was heart melting. Henry needed Tag and Henry gave Tag another sense of purpose. To see these two together was smile inducing, their relationship was a joy to see unfurl and the growth in Henry as a person was an amazing side story. You cannot help but fall in love with Henry, such an inspirational character. This is another Amy Harmon speciality, her side characters can be just as integral to the overall story and their presence just as important and Henry definitely fit’s the bill, he was akin to Bailey from Making Faces. The second half of this book is where Amy Harmon becomes an emotional powerhouse, if I didn’t have a lump in my throat, I had tears in my eyes which slowly progressed to a constant river of salt water. 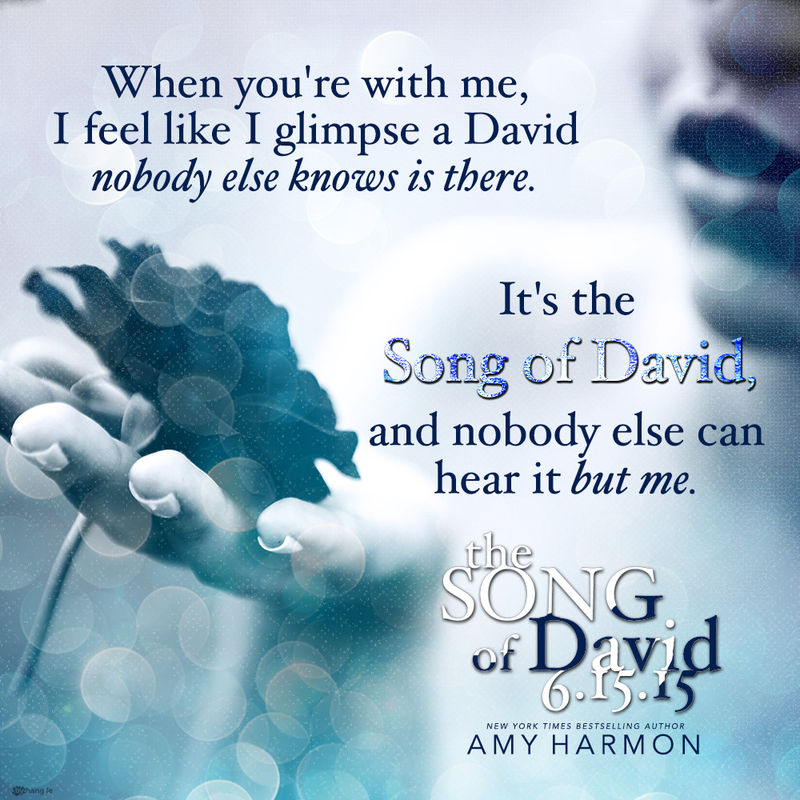 Few authors have that emotional impact, that punch to the gut but Amy Harmon delivers it effortlessly. 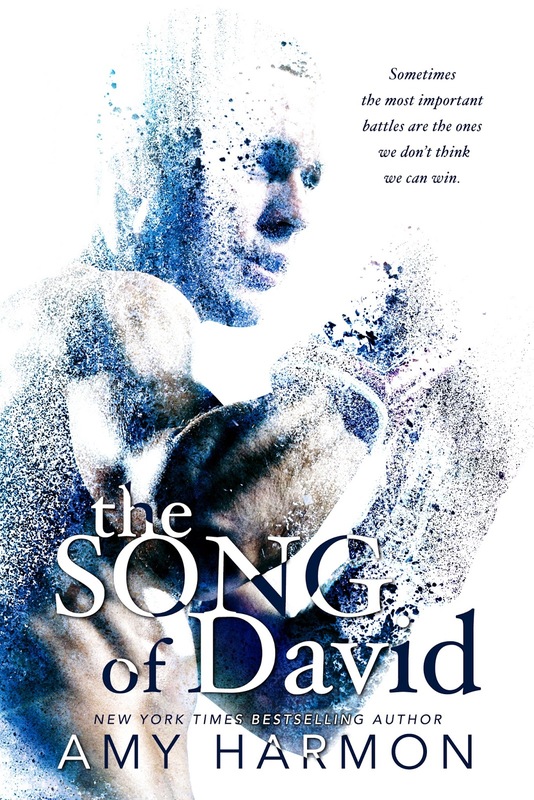 Such is the character connection that your heart just breaks as this story unfolds before your eyes., the plethora of emotions you go through on this emotional journey will leave you feeling drained but you will know that you have read a great book, an amazing book. This is an emotional gauntlet, your emotions constantly on the edge, but at the end of the day this is a story that is full of hope, of love, of understanding and most importantly friendships. This was a perfectly balanced book, you had that sense of dread, but it was lightened with some great dialogue, great one liners that will have you giggling and laughing. Yes it is emotional, but it is also uplifting. Amy Harmon always manages to do this to me, her words, the sentiments, the flawless writing always deliver a story that you will never forget. A story that will stay with you forever and characters that will leave their imprint on your heart. 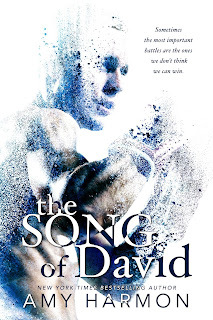 The Song of David is one of my favourites of Amy Harmon’s and is definitely a book I will never forget and will re-read time and time again. As usual, I was not disappointed, I am just left in awe at this author, she never fails me and once again has delivered a perfect, poignant story. I seriously cannot recommend this author highly enough.